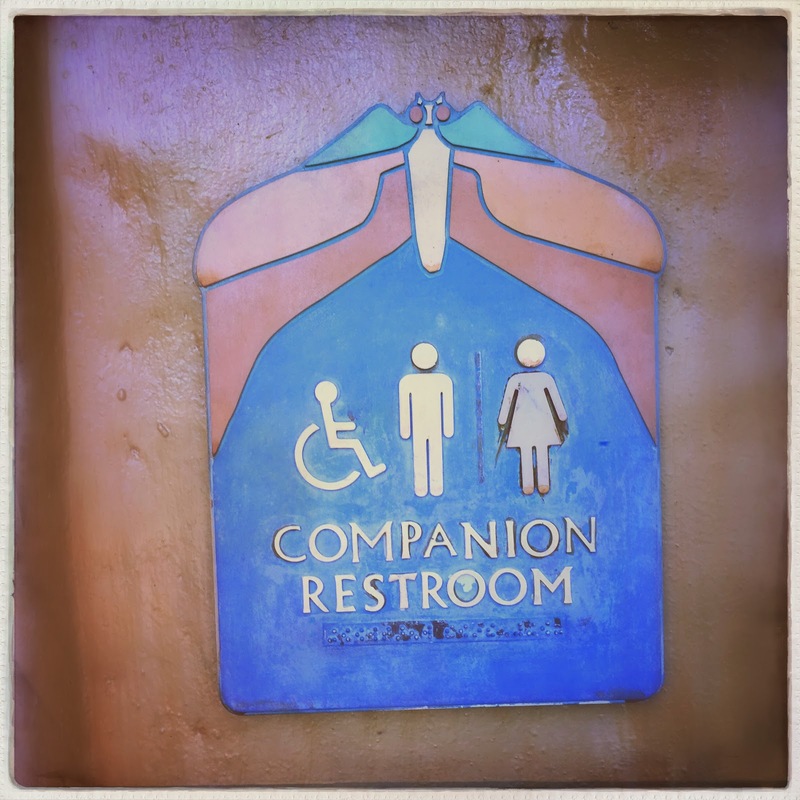 There are a few restroom opportunities on Discovery Island at Disney's Animal Kingdom. Since this land acts as the hub of this enormous park these facilities can often be pretty crowded. However, there is a set going towards Dinoland USA that is never all that over run, and these are my preferred spot. 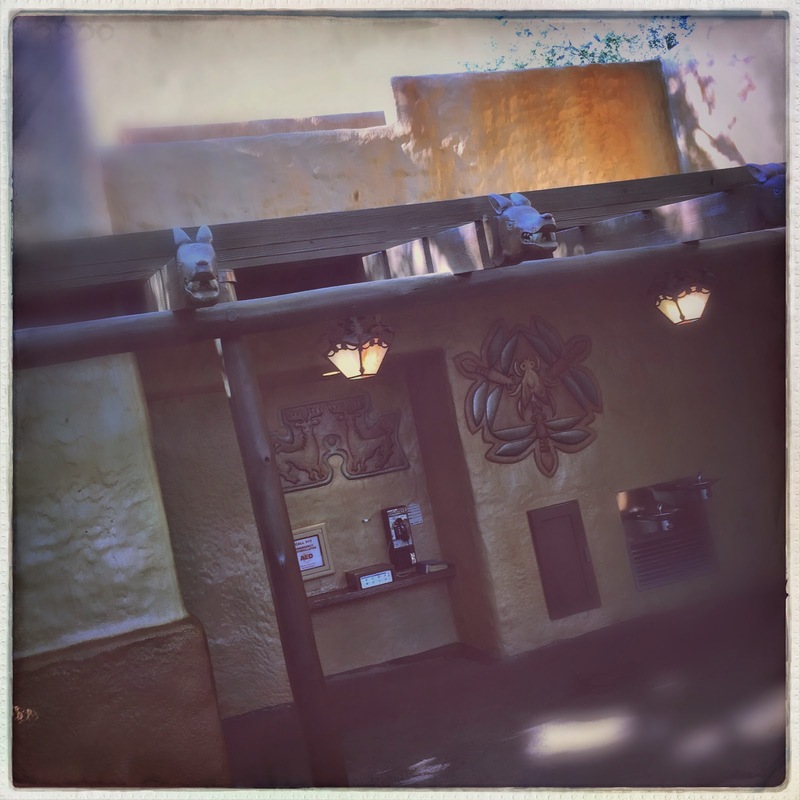 The bathrooms are themed much like the rest of Discovery Island. 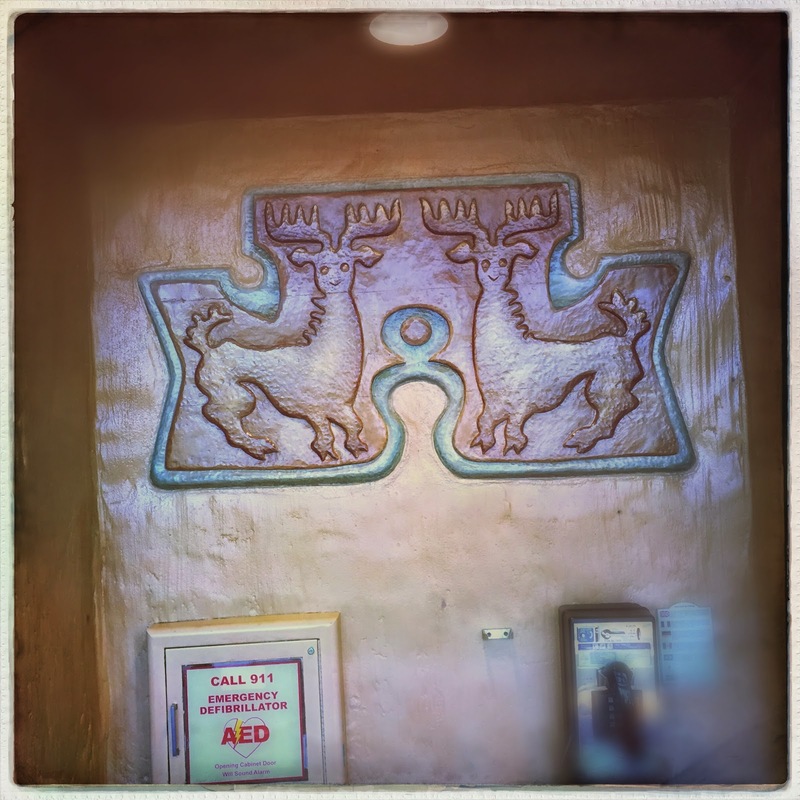 Bright whimsical animal carvings adorn every possible surface...including the restrooms and their signs. This spot is super unassuming, which is probably why it isn't very busy. Plus the inside is relatively big. Regardless of popularity the level of detail in the artwork is not overlooked. I especially love these deer (antelope?) above the pay phone. 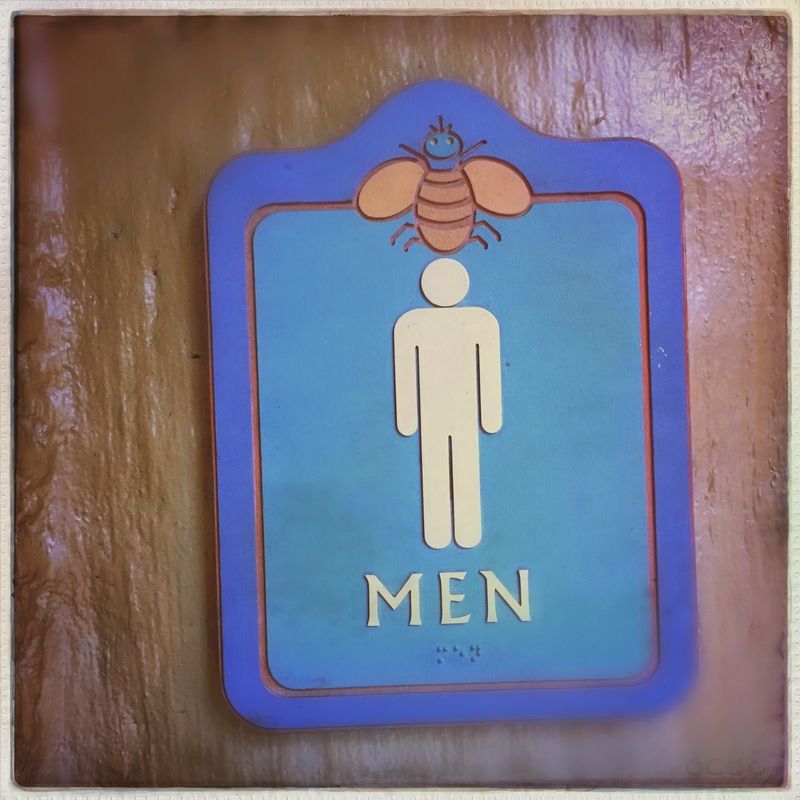 The actual signage does differ somewhat from the cravings found in the area, and are much more two dimensional. I'm sure this is for clarity reasons...but I wish they were a little bit more consistent. These look like they should be at a preschool. I always take a few minutes each visit to Animal Kingdom to poke around an area in detail. I always find something new that I've never noticed before. Note the lovely beasts adorning the pergola...these are ridiculously charming. This area is also home of my favorite rat invested pots! Obviously this spot is overrun with amazing. 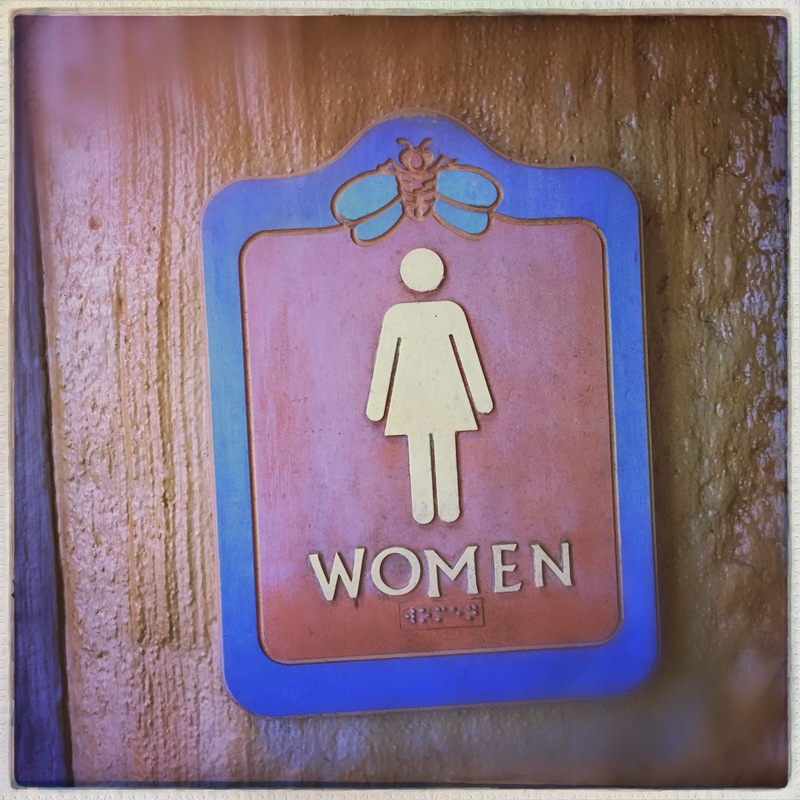 Do you ever take a moment to investigate the details of Disney's Animal Kingdom? Do you have a favorite random detail? Let us know over on Twitter, Facebook, or Instagram!